Twenty seasons of attention to detail. 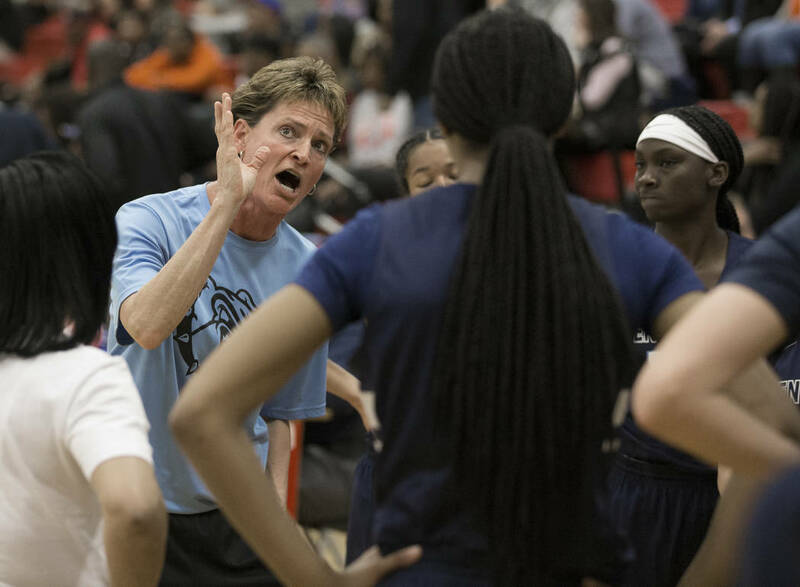 Of game-planning, organizing, scouting, practicing, teaching, yelling and demanding the best from herself and her players. Twenty seasons of hard work. 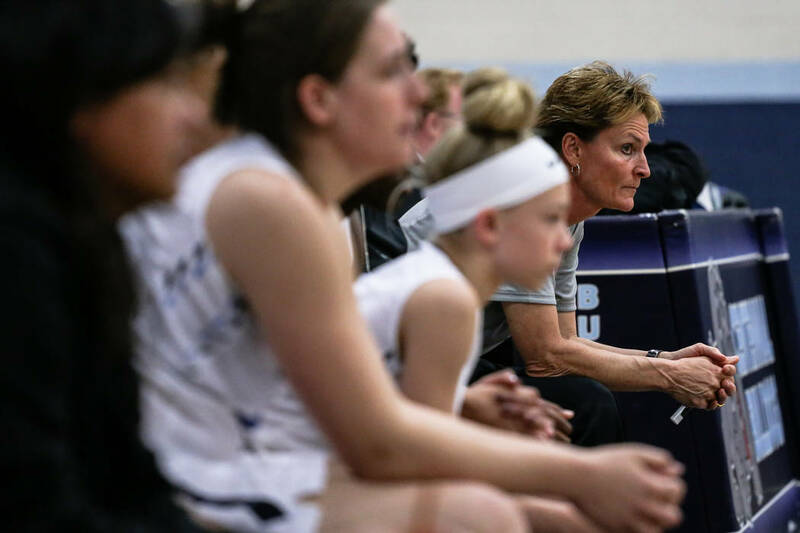 Finally, Karen Weitz and her Centennial girls basketball team are reaping the ultimate reward. 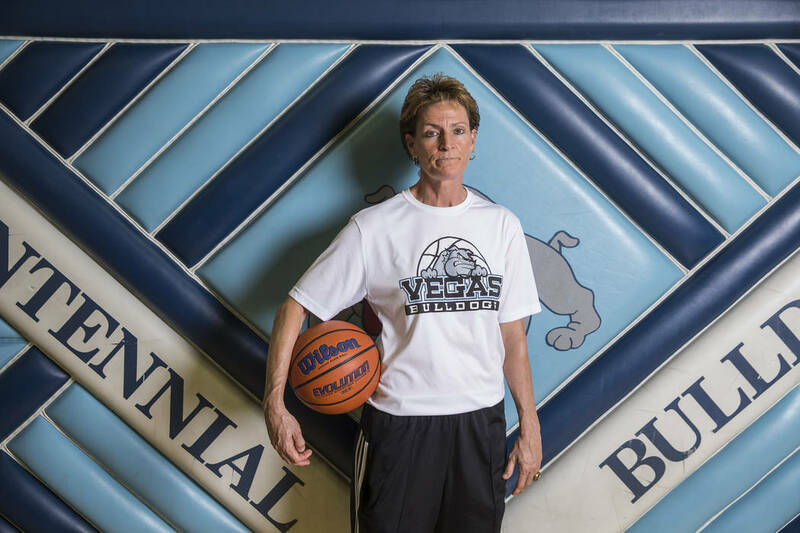 Weitz, who began blazing a trail for Southern Nevada girls basketball more than two decades ago, will lead her Bulldogs into the GEICO Nationals beginning Friday in New York City. Centennial (31-1), ranked fourth nationally by USA Today, will meet second-ranked St. John’s (D.C.) in a semifinal at 10 a.m. Friday. The game will be televised by ESPNU. 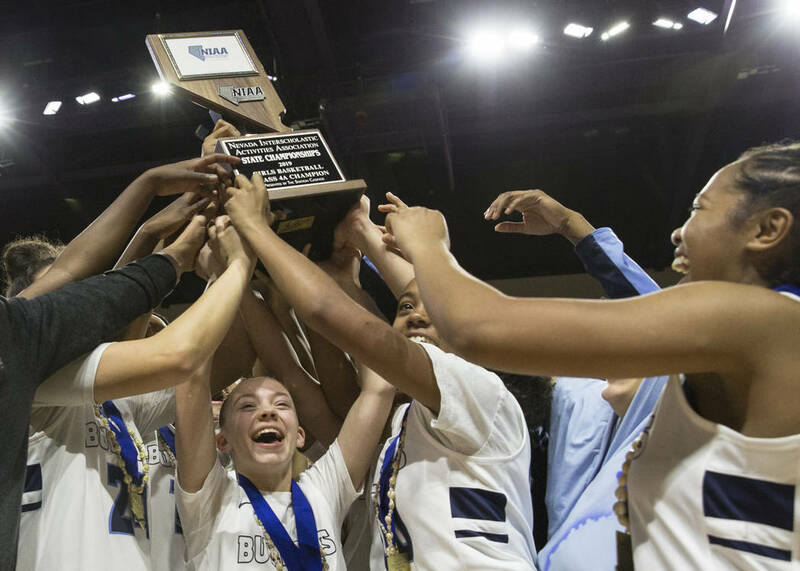 Centennial is the first Nevada girls team to play in the national tournament. And something few would have envisioned when Weitz began Centennial’s program in the 1999-2000 season after four years as Cheyenne’s coach. 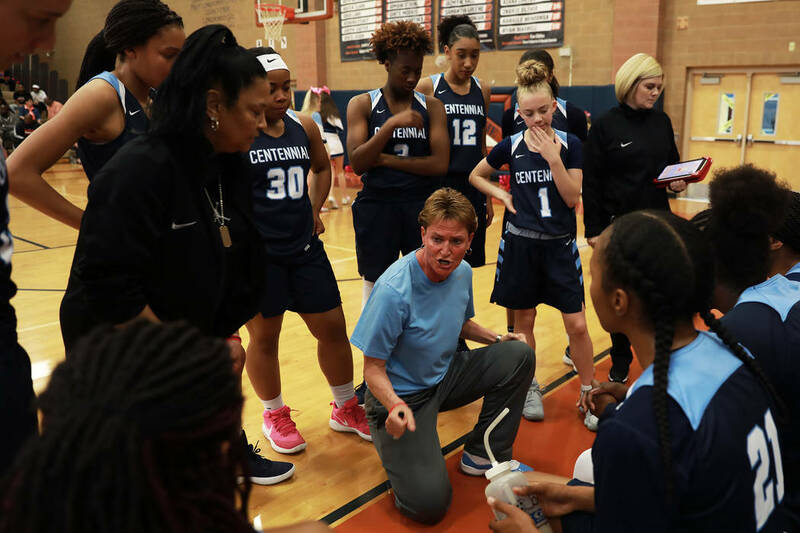 Southern Nevada girls basketball was little more than an afterthought before Centennial won the 2002 Class 4A state title. It ended Northern Nevada’s 22-year stranglehold on the large-school crown. Southern Nevada teams often struggled just to get to a state championship game during the drought. The 1997 Class 4A state semifinals were comprised of four Northern schools, and only one Southern team advanced to a 4A state title game from 1997 to 2001. 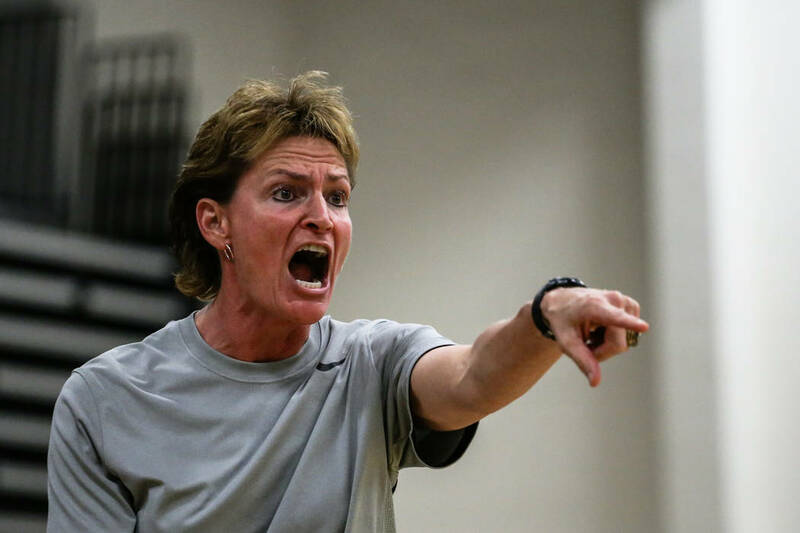 Former Carlin and Elko coach Lynette Davis agreed. 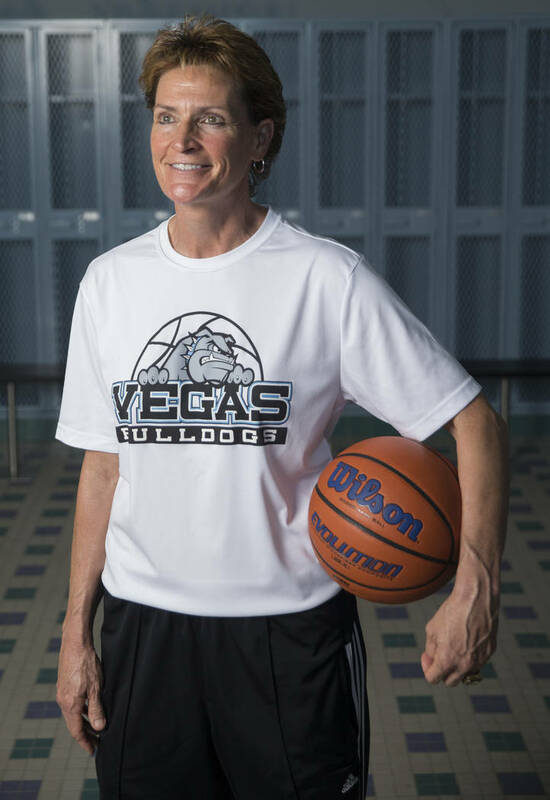 Weitz took advice from Campbell and started the year-round Las Vegas Bulldogs program to develop athletes into basketball players and brought consistency to the Centennial program. “Karen was putting in time but didn’t have the model,” Campbell said. “You could see the transformation taking place, and Karen has taken it to a whole other level. I don’t see anyone catching her. They completely outwork everyone in the state. The results have been undeniable. 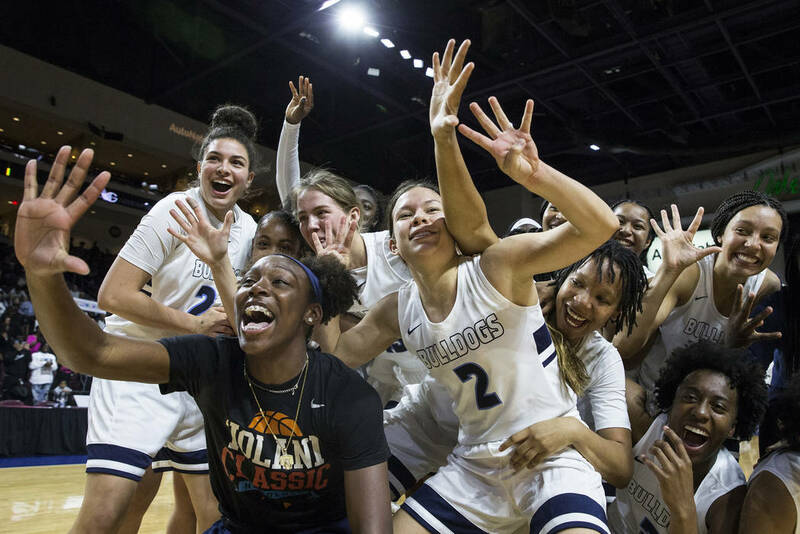 Centennial defeated Douglas in double overtime in the 2002 championship game, finishing an undefeated season by winning Southern Nevada’s first large-school title since Eldorado took the Class 3A crown in 1980. “It’s one of the most memorable days of my life,” said Darci Sandoval Seever, a member of the first Centennial championship team. “I know that sounds corny to a lot of people because it’s high school, but it really was. The Bulldogs didn’t stop, winning four straight titles from 2002 to 2005. 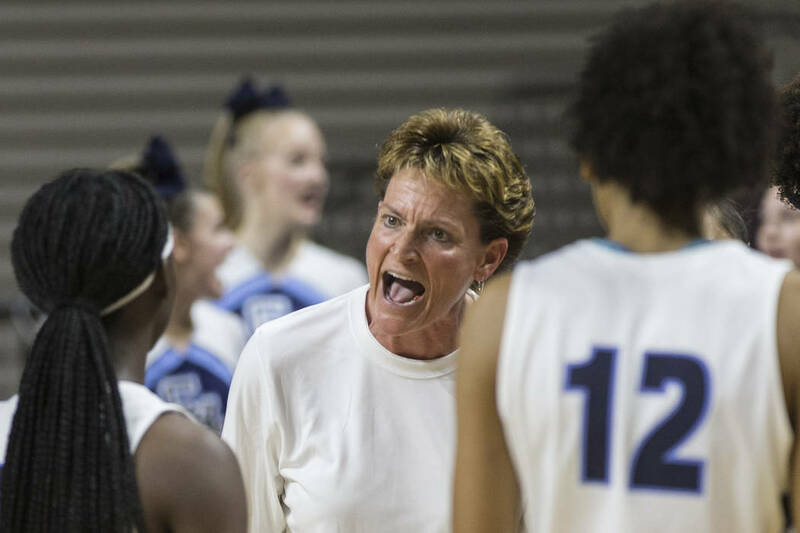 Centennial, which won its fifth consecutive Class 4A title in March, has won 11 of the past 18 titles and been ranked in the top 10 nationally each of the past four seasons. Centennial’s success pushed other schools to improve. Bishop Gorman has won four state championships since 2006. 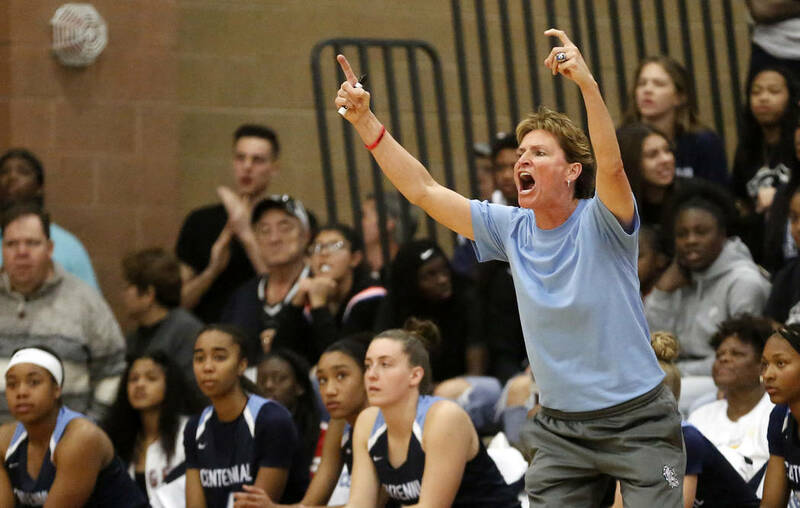 Liberty has played in four of the past nine state title games, and programs such as Desert Oasis, Foothill and Spring Valley have worked to become part of Nevada’s elite, all benefiting from having players who compete year-round. 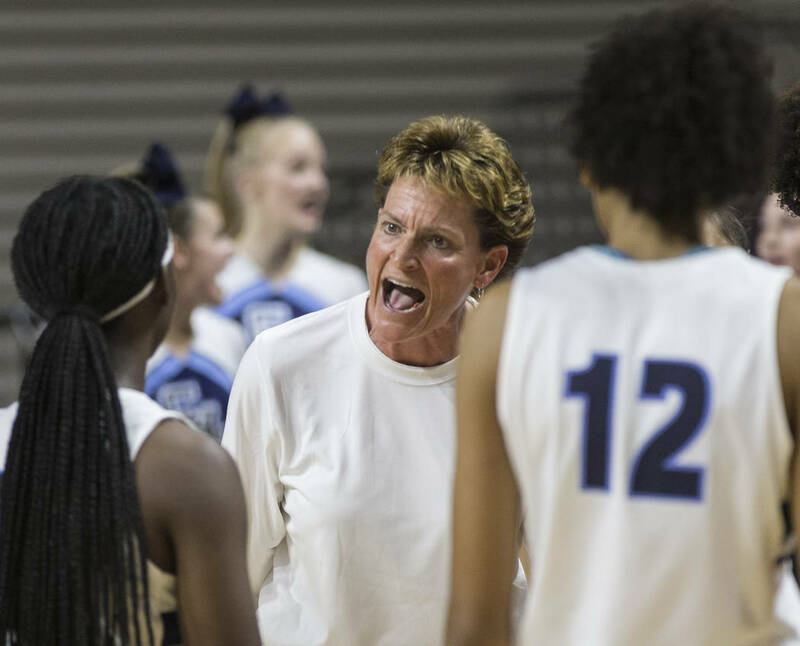 Weitz has had 37 players commit to or play Division I college basketball, seven state Gatorade players of the year and a McDonald’s All-American in former North Carolina standout Italee Lucas. 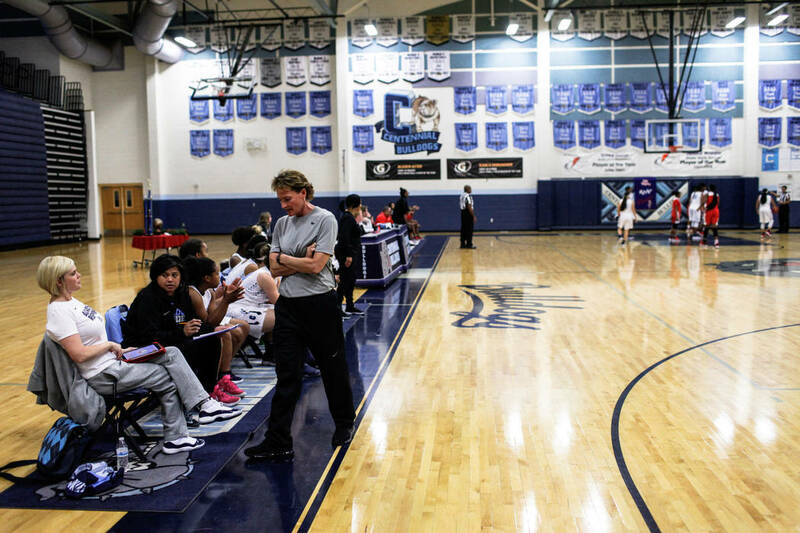 In the past five seasons, Centennial is 48-8 against out-of-state competition, including 14-6 in the prestigious Nike Tournament of Champions. 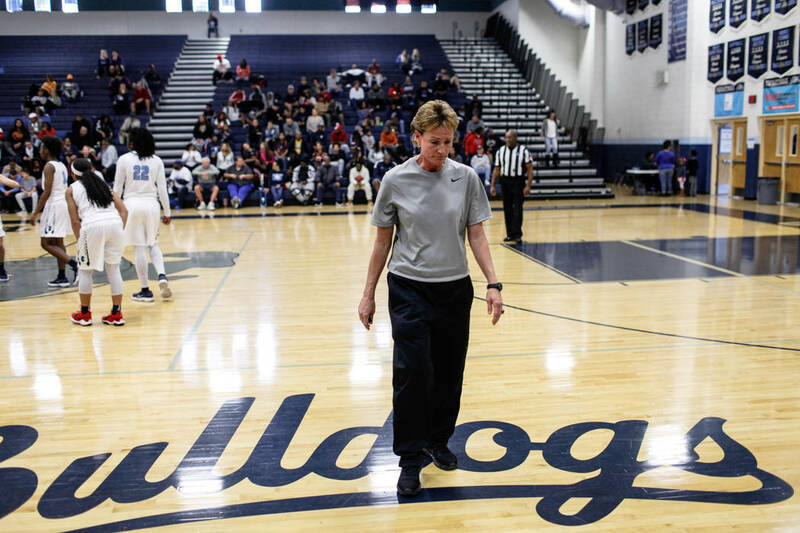 Now the Bulldogs get a chance to prove themselves on a national stage, all because of the foundation built by Weitz. Davis and Campbell, who have coached against Weitz, said they will be rooting for Centennial this weekend. And the Bulldogs are carrying the banner for the players who came before them, ones who are rooting for their team and their coach who pushed them to always work hard. 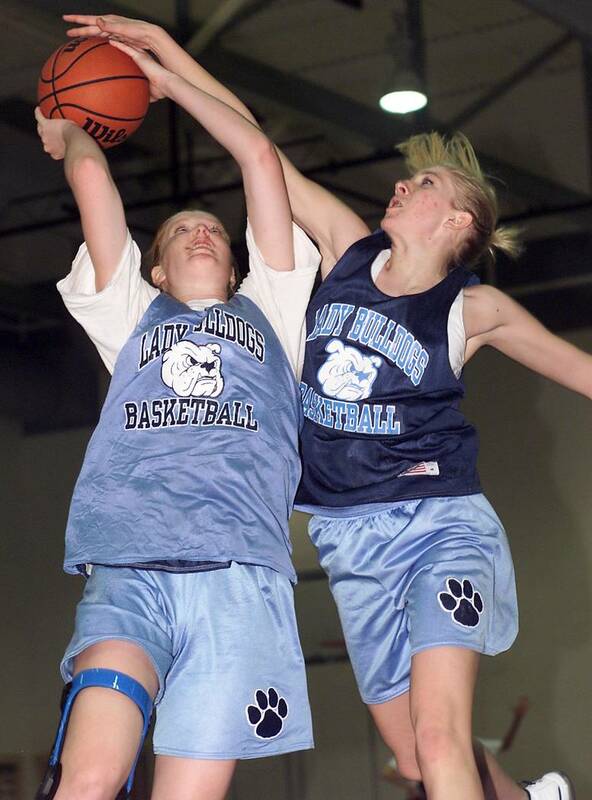 2001-02 season: The Bulldogs went 34-0, including a 76-74 double-overtime win over Douglas in the state championship game that ended Southern Nevada’s 22-year drought. 2003-04: The Bulldogs were invited to play for the first time in the Nike Tournament of Champions against other elite high schools and received their first national ranking. 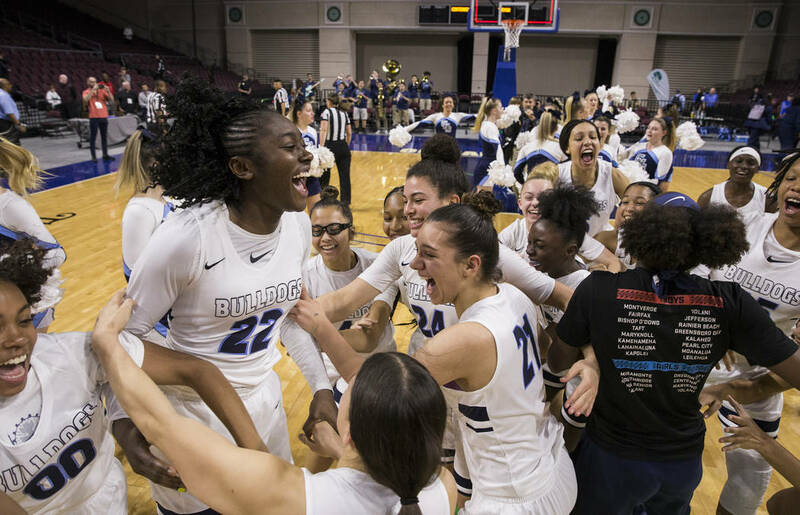 2009 state championship: Lexi Byrd hit two free throws with 0.5 seconds left to lift the Bulldogs to a 59-58 win over Bishop Gorman in the state championship game at Orleans Arena. Centennial students stormed the court. Afterward, members of Centennial’s student council wrote letters to Weitz about “what an incredible experience the game was and how they would remember that night the rest of their lives. I still have all the letters,” Weitz said. 2016: The Bulldogs become a Nike Elite high school program and receive a Nike sponsorship. 2019: The Bulldogs become the first large school to win five straight Nevada state titles and are invited to the GEICO Nationals.